Oklahoma has established itself as a breeding ground for prominent climate change deniers. Jim Inhofe has inveighed against climate action for years from his perch in the Senate, going as far as bringing a snowball into the chamber to prove his point that snowballs exist, or something like that. Then with Trump’s ascension to the highest office in the land came the rise of his pesky subordinate, Scott Pruitt, Oklahoma’s former attorney general, to head of the EPA — an agency he gets far more pleasure out of suing than protecting. Since his arrival, Pruitt has gone to great lengths to obfuscate climate science and open up the environment to fossil fuel and industrial exploitation. So that’s that scene with which Oklahoma —a state that has fracked itself into an earthquake crisis and where the oil and gas industry is second to none — finds itself on the cusp of becoming home to one of the largest wind farms in the world. On Wednesday, two large renewable energy companies announced that the 2,000-megawatt Wind Catcher wind farm will be the largest wind farm in the United States when it comes online in 2020—and the second largest in the world. Located in the Oklahoma panhandle, the project will collect power from 800 wind turbines and will provide power to over 1.1 million people in Arkansas, Louisiana, Oklahoma and Texas. Invenergy, North America’s largest independent, privately-held renewable energy company, and GE Renewable Energy are overseeing the massive undertaking, which will also include a new 350-mile extra-high voltage power line to efficiently deliver the renewable energy. The project is expected to cost $4.5 billion overall, and to save customers more than $7 billion over 25 years. It will create about 4,000 direct jobs during construction and 80 permanent jobs. In an interesting twist and a possible sign of things to come, the utilities using the renewable energy are planning to purchase the wind farm once it’s completed rather than simply set up power purchase agreements (PPAs) with the electricity generators. 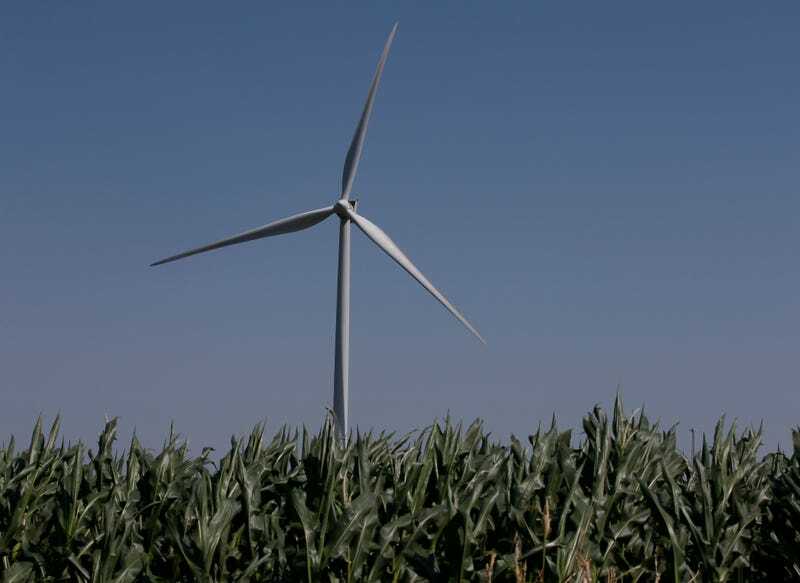 American Electric Power also announced this week that it is asking utility regulators in the affected states to approve the power line and the purchase of the wind farm. That doesn’t sound very Oklahoman to me, but I must have the wrong impression having heard so much about the power of fossil fuels and the resurgence of coal from folks like Scott Pruitt and Jim Inhofe. In fact, Oklahoma is a national leader in wind power, ranking third nationwide for installed wind capacity and total wind energy generation according to the American Wind Energy Association. With the cost of building solar and wind farms sliding and electricity demand weakening, owning renewables is a more attractive proposition than ever for utilities. I wonder when this jolt of renewable energy will make its way to the powers that be in DC. Maybe then Oklahoma’s representatives will stop using climate change denial as cover to protect the fossil fuel industry and will turn their attention to the changes in the wind.